The Kiev office of Baker & McKenzie is often chosen by global industrial leaders for international corporate matters. The firm was involved in a significant share of deals in the market last year. Its practice team stands out for its extensive experience working on English law governed deals. In a recent highlight, the firm advised the shareholders of PJSC Alfa-Bank (Ukraine) on its EUR 202.5 million deal with the Bank of Cyprus (BOC) on the acquisition of the Ukrainian assets of BOC, including its Ukrainian subsidiary — PJSC Bank of Cyprus, its Ukrainian loan portfolio and certain loans of the former Laiki Bank (Cyprus). The firm is the major counsel for private equity firms where it works both with local (Horizon Capital, EastOne Group) and international (Advent International, Avista Capital Partners, Nordic Capital, East Capital) firms. The team, as led by two partners Viacheslav Yakymchuk and Olyana Gordiyenko, is highly praised on the market and is described as very knowledgeable and efficient. Avellum Partners, the Ukrainian team that throughout the last couple of years reached top instructions on high-end market, commands extensive Ukrainian and English law expertise. The clients of the ambitious 10-lawyer team include majors from agricultural, real estate, investment, FMCG. The firm is often attracted to cover Ukrainian aspects of global deals. For example, the firm advised Lafarge and Holcim, the world’s biggest cement manufacturers, on Ukrainian law aspects of their USD 50.1 billion merger of equals. Recently its team advised the owners of a leading Ukrainian FMCG producer in connection with its sale to a private investor, pharmaceuticals, oil and gas, as well as high net worth individuals. 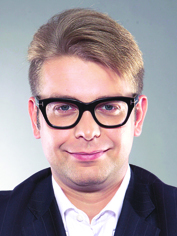 Mykola Stetsenko, managing partner, is a leading light on the Ukrainian market. Kostiantyn Likarchuk, partner, splits his time between dispute resolution and competition. Sayenko Kharenko’s corporate/M&A practice is one of the strongest on the market. The latest project highlights include the sale by Allianz SE, the world’s largest insurance company, of its minority stakes in Ukrainian insurance companies; acquisition by Pamplona Capital Management of Alvogen, an international pharmaceutical company with operations in Ukraine; acquisition by Capiton AG, a private equity firm, of the Ukrainian subsidiary of Dynea, a Finnish chemical group. Apart from it, the team offered sophisticated corporate compliance advice, in particular, compliance with anti-bribery and corruption, privacy and data protection laws. Legal support of businesses located in Crimea was topical, and clients instructed the firm on protecting their business assets on occupied territory. Sayenko Kharenko operates a highly specialized Crimean desk, which includes Ukrainian and Russian-qualified lawyers in Kiev, Simferopol and Sevastopol. The desk was busy advising clients on the sale of their assets in Crimea, corporate reorganizations, restructuring of trade operations and corporate security measures. In 2014, the corporate team was boosted with a well-known corporate and IT lawyer, partner Oleksandr Padalka. Partners Vladimir Sayenko, Andrei Liakhov, counsels Svitlana Kheda, Dmytro Korbut, Alina Plyushch, andsenior associate Oleksandr Nikolaichyk are the firm’s leading practitioners. In 2014 counsel Leonid Antonenko (since January 2015 — head of the registration and licensing department at the NBU) and other lawyers at the firm were heavily involved in corporate law reform. The sizeable corporate and M&A team of Asters, a renowned Ukrainian law firm, delivers transactional and day-to-day advice to a raft of international and domestic clients. The deal tracker ranges into various industries, inter alia, healthcare, telecommunications and media, banking, investment, agriculture, aviation, energy, real estate. Asters represented VTG Aktiengesellschaft in connection with establishment of a European rail logistics joint venture with international logistics provider Kuhne+Nagel in Ukraine; advised minority shareholders of ISIDA-IVF, a leading Ukrainian obstetric-gynecological clinic, on a repurchase of a majority stake in ISIDA-IVF from Advent International. The team of lead partners impresses with sound and respected names, namely Oleksiy Didkovskiy, Armen Khachaturyan, Vadym Samoilenko, Svitlana Chepurna. Senior associates Yevgen Porada and Yevgen Kravtsov were promoted to partners. Dentons is a point of choice for multinational corporations seeking seamless corporate law matters support in connection with their operations in Ukraine. The Kiev office has one of the largest corporate/M&A teams in Ukraine that include 16 fully-dedicated lawyers, including seven partners. The recent regular corporate advice includes issues of market entering and exits, operations of subsidiaries, corporate governance, regulatory, data protection. The transactional practice is well-versed for working on both sidies — seller and buyer. The firm is particularly vivid inenergy, hotels and leisure, FMCG, technologies, life sciences, automotive, financial institutions and private equity. The practice group has been strengthened with the arrival of new partner Adam Mycyk, US-qualified attorney. 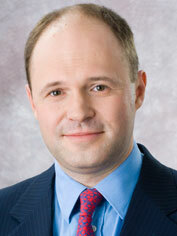 The practice group is headed by the office’s managing partner, Oleg Batyuk. Corporate is one of the major specializations of the Kiev-based office of DLA Piper headed by Margarita Karpenko, managing partner and a well-known corporate lawyer. In 2014 the team continues to advise clients on various corporate business matters apart from local and cross-border M&A transactions. In particular, the team advised a major international FMCG company on its international rebranding, including in Ukraine, as well as on reorganization of a Ukrainian company. The team provides ongoing legal advice to a number of multinationals from various sectors (manufacturing, pharmaceuticals, etc) on their day-to-day corporate issues. Despite a highly volatile market, the firm maintained a high level of M&A workload. The team advises a major international business on the global acquisition of a UK public company, including companies in Belgium, Ukraine, Italy, Greece, Spain, and Austria. Legal directors Galyna Zagorodniuk, Alla Kozachenko, and Illya Muchnyk, are the key team members. 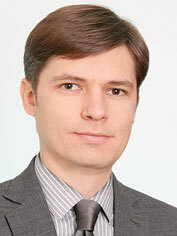 Oleksandr Kurdydyk, partner, handles M&A in the finance and energy sectors. AstapovLawyers international lawgroup advises both investors looking at assets in Ukraine, and those Ukrainian businessmen investing abroad. The firm enriched its banking portfolio, representing major commercial banks in their M&A and restructuring transactions in Ukraine. The regional approach of the group enabled the equipping of the cross-office M&A team (with offices in Kiev and Moscow), and provision of advice to Ukrainian and Russian clients on doing business on the Crimean peninsula. The recent corporate portfolio of the group features comprehensive projects, JV establishment and restructuring instructions. Currently the team advises Multi Development Ukraine on a project to construct a shopping mall in Lviv. On the transactional side, the team has acted on a number of significant M&A transactions, in particular, represented the interests of KVV Group in the EUR 107 million acquisition of JSC Liepajas Metalurgs, Latvia’s biggest industrial enterprise; represented Varus on its USD 10 million acquisition of 10 retail sites from a Russian retailer X5 Retail Group (Perekrestok). The 10-lawyer team is led by Oleh Malskyy, corporate and M&A partner, known for his broad based expertise and growing presence in the CIS deals. 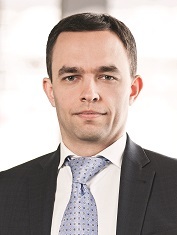 Maksym Uslisty, senior associate, is another important corporate practitioner in the group. Vasil Kisil & Partners is among the major Ukrainian counsels to have played a role in many benchmark deals of the last few years. The team acted as a legal counsel to major Israel-origin multinational engineering, construction and development company U. Dori Group Ltd.on all Ukrainian law matters related to regular updating of its listing information for the Israeli capital markets. Some recent projects pertained in the field of corporate structuring, commercial matters, M&A. Notably, recent work features advice on the situation in Crimea, and the corporate team advises on relocation of production business from Crimea to other parts of Ukraine. The recent M&A mandate is representation of JSC Liepajas Metalurgs, Latvia’s biggest industrial enterprise, by KVV Group. In August a group of lawyers, including five partners, left the firm. The practice is currenty led by partners Oleg Alyoshin and Alexander Borodkin. The Kiev office of CMS Cameron McKenna demonstrates its particular activeness in a number of industry sectors, oil and gas, mining, real estate and construction, IT, engineering, media, finance. The team has a strong following from international private equity companies. In the past year the workload encompassed joint ventures, shareholding sale, exits, restructurings, M&A. The versatile team includes corporate partners: English-qualified Graham Conlon and accomplished professional Olexander Martinenko; Vitaliy Radchenko (energy-related matters); Daniel Bilak (real estate). In 2014 the corporate and M&A team of Egorov Puginsky Afanasiev & Partners Ukraine advised a number of major companies from agriculture, IT and pharmaceuticals. In particular, the team acted as the Ukrainian legal counsel to Dynea Chemicals Oy in the sale of 100% of the shares of its Ukrainian subsidiary Dynea Ukraine Ltd to German company Mellifera Zehnte Beteiligungsgesellschaft mbH; advised a leading diversified agricultural company in relation to all Ukrainian law aspects of the potential acquisition of a top-20 local agricultural business; represented the world’s largest entertainment company in a number of acquisitions in Ukraine, including the acquisition of IT assets of a couple of software development companies. EPAP Ukraine advised one of the global leaders in online financial trading on various corporate law and regulatory issues related to setting up a commercial presence. The 10-lawyer team is led by partner Oksana Ilchenko with significant input from Oleg Boichuk and Aleksandra Yevstafyeva. Partner Ilona Zekely, an Austrian lawyer, guided corporate and M&A instructions of Austrian, German, Swiss and other international companies. The corporate practice of Gide Loyrette Nouel in Kiev is among its core offering that predominantly constitutes instructions from international business in Ukraine. Throughout the past year the practice was boosted with sale and restructurings of foreign companies in Ukraine, including cross-border assignments; support to clients day-to-day activities, and compliance issues. Industrial coverage of clients ranges from agriculture, industrial production, fashion brands, chemicals; including such significant names asBriziums, Air Liquide, ACP Europe, Bongrain, Beiersdorf Ukraine, Porsche Finance Group, SBE Sustainable Energy Holding, Simon H. Steiner, Hopfen, GmbH, VA Intertrading, Pact, Fareva, Mitsubishi Heavy Indus. The firm represented SBE Sustainable Energy Holding, a German agricultural investor, in the course of sale its Ukrainian business to a Ukrainian farming and trading company; assisted Mitsubishi Heavy Industries, Ltd. in carve-out of Siemens’ business of metallurgical technologies into SIEMENS VAI Metals Technologies and its further sale to a joint venture. Bertrand Barrier and Dr. Julian Ries, co-managing partners of the office, led the practice in Ukraine. Illya Tkachuk, senior lawyer, is highly visible in project work that is endorsed by peers alike. Arzinger, one of the largest domestic firms, acts on general corporate matters, corporate governance questions, restructuring, M&A, including experience as a Ukrainian counsel in international deals. Among others, the firm is involved in advice related to the Crimea situation. Among the recent highlights the firm acted as a Ukrainian law counsel to Platform Specialty Products Corporation on its global USD 1 billion acquisition of the agro-chemical division of Chemtura Corporation. The team rendered legal support on restructuring of the Scania group of companies in Ukraine. 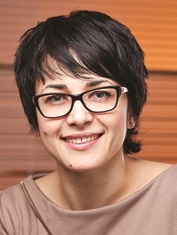 Anna Zorya, who joined in December 2013 as a partner, rapidly grew her market reputation. Partner Maksym Cherkasenko is known for his continuous involvement in corporate work and active public activity. Established in August 2014 AEQUO (a splinter group of lawyers from Vasil Kisil & Partners) has a corporate and M&A practice among its core competences. The team, as led by highly active partners Denis Lysenko and Anna Babych, is widely admired on the market for handling significant cross-border work and a number of benchmark transactions in previous years. Recent assignments, among others, are dedicated to incorporation in Ukraine and JV, corporate structuring, data protection, assets protection in Crimea. The team advised Fischer Sports (Austria) on new investment (via a capital increase) into the Group’s Ukrainian subsidiary Fischer Mukachevo LLC. Impressive client portfolio featuring this new firm, both domestic and international majors, notably ATB Market, Delta Bank, DuPont, Energy Standard Group, Epicenter-K Group, Google, Mobile TeleSystems, NCH Capital, Novus Ukraine, Samsung Electronics, Ukrainian Business Group, UniCredit Group, VimpelCom, Donbasenergo, Concord Capital. Aequo advised UBG Group on its sale of 80% in one of the leading chains of private medical clinics, Dobrobut, to Ukrainian investment company Sansky Trading Limited Company. Clifford Chance enjoys strong following of international clients seeking corporate support in Ukraine and seamless cross-border transactional advice. Reorganisation, corporate restructuring issues, joint ventures and acquisitions fall within the office’s recent remit. The international law firm’s in the client list are Louis Dreyfus Commodities Suisse S.A., Abris CEE Mid-Market Fund LP, DSI Holdings GmbH, COFCO Corporation. 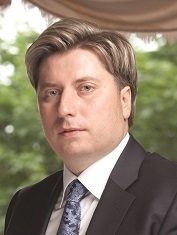 Dmytro Fedoruk, counsel, is acclaimed by the market. Integrites, international law firm headquartered in Kiev and operating its offices in the CIS, acts on transactional matters. The recent projects were aimed at business consolidation and acquisition of smaller market players by large Ukrainian industrial and financial groups. The firm also stands out for advising ultra-high-net-worth Ukrainian individuals. A substantial part of corporate restructuring and acquisition work is cross-border. The client list of the firm includes a big number of sound names, in particular Alfa Group, AMACO, ArcelorMittal Group, Air France, Agrofuel, Bongrain SA, Bosnalijek, Dupont, Dyckerhoff, Galika AG, Kodak Ltd., Konecranes, KWS, Michelin, NEFCO, SC Johnson, Volvo Group, ZTE Corporation, etc. The practice benefits from close cooperation with finance practice since Integrites constantly advises local and international banks operating in Ukraine, as well as export credit agencies. The team includes two partners and eight lawyers, and is headed by counsel Olga Vinglovska. Law Offices of OMP often acts on sound M&A deals. In particular, 2014 the firm was attracted for counselling Sansky Trading Limited Company on its acquisition of 80% in one of the leading chains of private medical clinics Dobrobut from UBG Group. The team rendered complex legal support for Glencore International AG due to alienation of Odessa oil extraction plant. The firm demonstrated outstanding appearances on Ukrainian aspects of global deals, such as counseling to Shiseido Group on its sale of group of companies which operate under the trademarks Decleari Carita to L’Oréal SA Company. 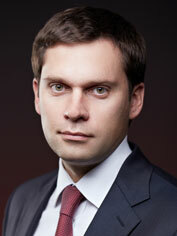 The five-lawyer team is led by Yaroslav Sverdlichenko. Corporate and M&A are key areas of Lexwell & Partners. This domestic team attracted a wide array of clients: CRH Group, CRH Ukraine, DeVision Group, Evraz Group, Millhouse Capital, Mykolaivcement PJSC, Naftogaz of Ukrainy, Subaru Ukraine, Sumitec Ukraine, Sumitomo Corporation, Summit Motors Ukraine, Toyota-Ukraine, CFI, VS Energy Group and others. Among the recent highlights is advising National JSC Naftogaz Ukraine, on corporate issues. That is, restoration of control over Ukrnafta PJSC, its 50%+1 share owned subsidiary and Ukraine’s leading oil and gas company, and distribution of USD 150 million worth of dividends. The team has been advising CRH on post-acquisition integration procedures relating to USD 130 million purchase of Mykolaivcement from Lafarge as well as on indemnification claims arising out of the relevant share purchase agreement. Andrey Kolupaev, managing partner, is a leading light at the firm. Corporate and commercial workconstitutes the core practices of Gvozdiy & Oberkovych, Ukrainian law firmwith offices inKiev and Odessa. Its international clients include brands Red Bull, Marks & Spencer, GAP, Zara, Bershka, Oysho, Stradivarius, Massimo Dutti, Merkator Medical; while the reputable national clients are Antoshka, Ukraine’s biggest retailer for kid goods, Odessa Automotive Plant, Galicia Distillery, Intertelecom, Intermedservice. The team supported investors Creamsonfield, a group of agrarian companies managed by American Technologies, in the sale of several farms in Ukraine to JSC Mironivsky Hliboprodukt; Ukrainian company EU-Transon the sale of a control stock of shares to EuroSibTrans, a Russian freight carrier. The firm advised Italian company S.A.L.P. in an investment project in Ukraine related to development of a solar power station in Kherson Region. Partner Sergiy Oberkovych led the team supported by senior associates Maksym Lebedev and Iryna Kalnytska in the Kiev office and Vitaliy Logovskiy in the Odessa office. Moris Group is known for handling comprehensive support to its regular clients from agrarian, building, energy sectors. Karpatnaftokhim LLC, Ukraine’s major petrochemical producer and subsidiary of Russia’s biggest oil producer LUKOIL, was rendered support in USD 45 million investment project of heat energy plant construction and USD 40 million investment project of Verhno-Strutynske deposit salt-works. Ivano-Frankovsktsement PJSC, one of Ukraine’s leading companies in the building industry, was advised in connection with establishment of a holding in Switzerland. The firm is known for being eminent counsel to such Ukrainian agrarian giants as Ukrlandfarming PLC and AvangardCo IPL. Three partners Oleg Parylyak, Maryan Martynyuk, Taras Gerula are involved in practice. International Legal Center EUCON successfully moved on the path of practice diversification and rapidly develops its corporate offering. The firm has two offices in Kiev and in Warsaw, and enjoys a strong following of Polish clients. Notably, the firm carved a particular niche supporting investment projects of Polish investors in Ukraine, as well as Ukrainian expansion to Poland. The team supported МANTA S.A. in its incorporation in Ukraine and further investment project fulfillment; advised Eveline Cosmetics Dystrybucja Sp. z o.o. S.K.A. on efficient corporate structure and registration of a representative office in Ukraine; supported the investment project of EURO TERMINAL Sp. z o.o. concerning placement of payment terminals on the territory of the Republic of Poland and further European market entry. Yaroslav Romanchuk, managing partner, splits his time between corporate and tax work, and is the accomplished rainmaker of the team. The firm strengthened its position in Poland with the arrival of new partner and Warsaw head Ihor Yatsenko. He specializes in the legal support of corporate establishment in Poland and entry onto the European market. Andrii Romanchuk is another contact for corporate matters. NOBLES, the Ukrainian firm that emerged after the departure of the German law firm Noerr from the market, kept a strong following of international clients on their business in the country. Among the recent highlights is advising on corporate restructuring of CLAAS in Ukraine; Rocket Internet in a number of restructurings and corporate matters and on potential acquisition of a startup venture in the e-commerce industry; supporting Otto group in defense against a corporate raid regarding a subsidiary e-commerce operation in Ukraine. The M&A team acted as a local counsel for Active Energy Group, the AIM-listed Biomass company, in acquisition of the largest Ukrainian supplier of wood chip; and took part in global M&A where it acted as a local counsel to Platform Specialty Products Corporation on the acquisition of the agro-chemical division of Chemtura Corporation. 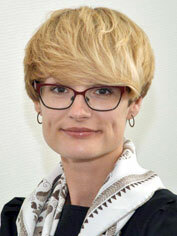 Tatiana Iurkovska, partner, is the main contact for corporate matters. Corporate advice and transactional legal support has developed rapidly over the last couple of years at VB PARTNERS, a dynamic domestic firm. Recent activity includes corporate governance, reorganizations, divestments, M&A. The team supports corporate reorganization of one of the companies of the Metro Group. The sector expertise covered oil and gas, industrial products and machinery, retail and distribution, light industry, media. The practice lead partner Denys Bugay also splits his time on white-collar crime and GR. Another important figure, Oleksandr Lukyanenko, has been promoted to partner. Corporate law is one of the key practice areas of FCLEX, an increasingly visible domestic firm. The mainstay of the past year arrives from corporate disputes. For example, partners Viktor Barsuk and Andriy Nikitin successfully represented the interests of Poltava GOK in the Supreme Court of Ukraine in a corporate dispute pertaining to the validity of the contract on sale of a 40% stake in Poltava GOK, lasting since 2005. Another partner, Oleg Malinevskiy, represented the Bank Finance and Credit in litigation concerning foreclosure of security interest in collateral, including shares. Gramatskiy & Partners continues giving advice on incorporation in Ukraine, structuring investments and charter capital restructuring, contractual issues among shareholders, as well representation in corporate disputes. 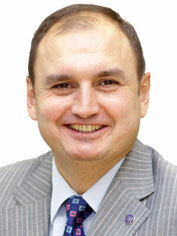 The practice team is guided by the founding partner Ernest Gramatskiy. In his recent client portfolio, among others are PJSC Gazinvest, Graal Ltd, General Construction, Teploenergomontazh Ltd, Grodex Ltd, Danfoss Media-Trade Ukraine. The firm handled a number of corporate restructurings, acquisitions of Ukrainian companies through various financing schemes and jurisdictions choice. 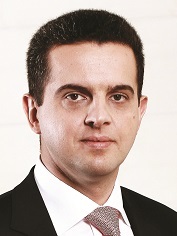 In particular, the M&A practice led by Yuriy Zabiyaka supported the repeated buy out of shares of PJSC Gazinvest; handled charter capital increase and corporate restructuring of Graal Ltd.
Acclaimed for its well established litigation capabilities, LCF Law Group has been involved in corporate governance mandates, M&A, and traditional for the group corporate disputes. In a recent highlight, the team advised its clients UBI Farm Group and Morozovskiy Trading House, PJSC on corporate governance issues. Sound representation involved support of Ares Systems Ltd (Great Britain) in a dispute with a Cypriot entity on recognition of agreements of securities purchase as invalid and property rights recovery. Three partners Anna Ogrenchuk, Sergiy Ignatovsky, Artem Stoianov, are involved in project work. Volodymyr Derevyanchuk and Iryna Gryshchenko, who joined the group as counsels last year, strengthened the corporate team. Konnov & Sozanovsky is a common choice of diversified business groups. The past year was no exception, and its corporate team supported the sale of a leasing business by a business group and accomplished the corporate restructuring of an agricultural company. 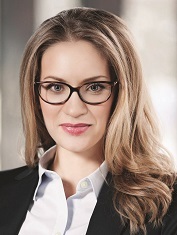 Corporate partner Helen Yaremchuk leads the firm’s projects. Ilyashev & Partners, a Ukrainian firm that rapidly developed its national network and now counts offices in Kiev, Kharkov, Simferopol and Dnepropetrovsk, has a reputation as a top litigation team and a firm with a wide referral network. The team is particularly known for its long track record in insolvency and corporate recovery matters. Mikhail Ilyashev and Roman Marchenko are highly visible figures on the market. Antika Law Firm continues to advise its permanent clients on a range of general corporate and commercial matters. The firm provides full legal support of AWT Bavaria business operation in Ukraine, inter alia, advises on construction of the new BMW Importer and Dealership Center in Ukraine. Alexey Kot, the firm’s managing partner, enjoys strong feedback for his corporate expertise. Alexander Burtovoy is another important figure. The Kiev office ofCzech law firm Peterka & Partners arranges day-to-day legal advice on corporate matters, including corporate restructuring, corporate governance, establishment and liquidation, corporate changes. The firm’s clients among international companies operating in Ukraine include, for example, Peugeot Citroёn Ukraine, Fujikura Automotive Europe, S.A.U., Regus group, CNH Österreich GmbH, ICZ s.r.o. Last year the team handled comprehensive advisory to a global brand-name beverage producer, in connection with a M&A deal in Ukraine and legal advice on corporate day-to-day issues for the client’s subsidiaries in Ukraine. The main contact for corporate work is Nina Sydorenko. In 2014 the corporate team of EY in Kiev worked on corporate governance matters, restructuring, structuring projects. For example, the lawyers carried out international restructuring for two large Ukrainian business groups in various industries; advised international institution regarding corporate governance of Ukrainian state and municipal sector companies; acted on restructuring of public television in Ukraine. The dedicated team includes partners Albert Sych and Igor Chufarov, Borys Lobovyk, director. KPMG Ukraine’s legal practice keeps developing its corporate and M&A flow. In the past year it advised foreign high-net-worth individuals on conversion of ADRs into underlying Ukrnafta’s shares; handled comprehensive legal and tax support and advice to a leading truck importer in Ukraine in connection with business restructuring. The team is highly visible in the pharmaceutical industry, delivered legal and tax advice on acquisition of minority shareholding in a Ukrainian pharmaceuticals trader. Partner Sergey Popov, and directors Tatiana Zamorska and Oleg Chayka are the main contacts. 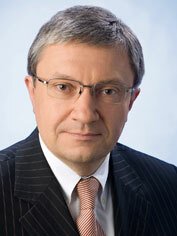 PricewaterhouseCoopers Legal, established in 2014 as a separate law firm, is headed by Andrey Pronchenko. The team of lawyers benefits from a solid clientele. Among the recent work to note is assisting leading Ukrainian advertising group on the sale of their business to a large international strategic investor; support to a large Ukrainian construction company in drafting and negotiating a shareholders’ agreement with a strategic international investor. Juscutum Attorneys Association is a dynamic, highly pro-active domestic firm with a primary IT niche. Corporate reorganization and corporate rights alienation constituted a significant share of the team’s recent work. In 2014 the firm supported intra-group restructuring of a top Ukrainian-based IT Integration company. The client list includes, among others, Vexman Limited, Elko group, GC Zolotaya Sova, Tokmak Solar Energy LLC, System Integrations OÜ. 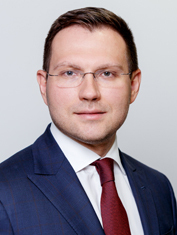 The 5-lawyer team is led by Ruslan Redka, partner. The offering made by ECOVIS Bondar & Bondar concentrates on, in the main,industries of firms activity, such as aviation, sport, insurance, mass media and IT. The representative clientele includes Ukraine International Airlines, Yara International AG, Amadeus, Ukrainian subsidiary of Reso Group — Pro100 Insurance, Alumil Ukraine, Opower Coporation, United Basketball Investments. The firm represented United Basketball Investments in a project on preparing for and hosting the Final European Basketball championship Eurobasket 2015 in Ukraine, including financing and management construction of new arenas in Kiev, Odessa, Dnepropetrovsk and Lviv. The lead team consists of Larisa Litvinenko, Liudmyla Osykina, Oleg Pantiia, Oleg Chekmariov. The compact team at Misechko & Partners renders support on general corporate matters and litigation work. The team has closed a number of deals of corporate rights sale, in particular, supported Progresstech Ukraine LLC, a member of the Progresstech Group, a global engineering services company providing intellectual services to aerospace and aviation transport industries; and advised Tucana Engineering, LLC (USA), on its establishment of a representative office. Volodymyr Misechko is the main contact. Ukrainian law firm Dmitrieva & Partners has corporate and commercial law, as well as investments support, among its core specialties. Notably the firm has rendered a range of services of reorganization, as regards corporate issues and investment activities for its clients located in the anti-terrorist operation (ATO) zone, including holding APEX-GROUP and Scientific Research & Design Institute Uglemekhanizatsiya. Some other clients of the firm are Baltik International Bank (Latvia), Bauer Group Ukraine, CJSC Yarovit Energo (Russia), State Enterprise KWARTS. Olga Dmitrieva is the key contact. WTS Tax Legal Consulting LLC (till August 2014 named KM Partners) delivered legal support on reorganization of the client’s corporate structure considering related tax and land matters; and full support of acquisition of a Ukrainian software development business under the control of an international financial institution.Partners Alexander Minin and Maxim Oleksiuk are the point of call. The Dnepropetrovsk-based Law Firm Dynasty is enlisted to handle corporate work, including cross-border experience, as well as high profile corporate disputes. The major client focus is domestic, and includes Alef Corporation, Aktabank, Agro-Oven Corporation, the biggest Ukrainian producer of sport equipment VASIL LLC. The projects are led by three partners, namely Snejana Karagodina, Denys Myrgorodskiy and Anna Poddubnaya. Given the primary focus on the banking and financial sector by Gryphon Investment Consulting Group, its team is enlisted for supporting M&A transactions, corporate structuring and compliance. In 2014 the group was seen in the acquisition of factoring companies. For example, the team acted as a legal and financial counsel to Bank Standard and Idea Bankin acquisition of 100% stakes in factoring companies. Partners Helen Lynnyk and Anna Chepur lead the practice at the group. KPD Consulting acts on day-to-day legal support of privately held companies, share alienations and spin-offs. The firm handled legal support to Httpool Holdings Limited in connection with corporate restructuring; advised on alienation of assets in Crimea. Partners Vitaliy Patsyuk and Iryna Pidlisna are the main contacts. In 2014 Lavrynovych & Partners was particularly vivid incorporate litigation. The team represented Swissport International ltd in a number of high profile disputes. Managing partner Maksym Lavrynovych and partner Stanislav Skrypnyck led the practice team. Jurimex Law Firm is known for its presence in the telecommunication sector. Yuriy Krainiak, managing partner, advised Novyny TV on the acquisition of the group of companies of TV channel Goldberry. The corporate team has also supported several divestments and corporate issues which arise with the annexation of Crimea. Goldblum & Partners, which opened its Kiev office in 2012, considers corporate and M&A among its core offering. It acted for a Ukrainian supplier and implementator of technical solutions for machine-building and metal works in the acquisition of a company in Switzerland. Managing partner Dmitrij Pichugin is the main contact. Law Agency Absolute, a domestic firm headquartered in Dnepropetrovsk, with an office in Kiev, reported on advising PJSC FUIB in connection with purchase of a significant stake in PJSC Kievprodmash Plant; advised PJSC Korostyshevskij Cast Mines in the procedure of a tap issue of shares. Natalia Kushnarenko is the key practitioner. ILF (Inyurpolis Law Firm), with offices in Kiev and Kharkov, acted on comprehensive corporate restructuring mandates, combating illegal takeover, litigations. 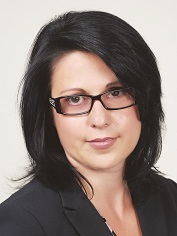 Tetyana Gavrysh, managing partner, heads the practice. Shkrebets & Partners, the Kharkov-based domestic law firm, is a visible counsel in East Ukraine. The firmacted as legal advisors of the Kharkov Regional Football Federation on the issue concerning amendments to the chapter of the Federation and supported the purchase of the enterprise with the right to use the land for development in the Slovak Republic. Eugene Shkrebets, managing partner, is the main point of contact. Partner of ENGARDE attorney at law Roman Ognevyuk advised Ritter Bio Agro Ltd on corporate management of its subsidiary in Ukraine. 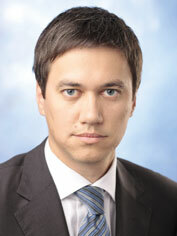 Andriy Vyshnevsky, partner, concentrated on M&A transactions. Kibenko, Onika & Partners as led by Olena Kibenko supported the process of acquisition of a major holding specializing in snack manufacturing. 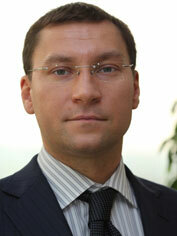 Alexandrov & Partners headed by Dmytro Alexandrov is known for advising on land issues and related corporate work. Sergiy Tyurin led the corporate team of S.T. Partners in the course of corporate restructuring of a drugstore business. Oksana O. Kryzhanivska is a practicing lawyer with more than seven years of experience in the areas of corporate, competition law, and M&A. Ms. Kryzhanivska supports complex investment projects involving Ukrainian and foreign capital at all stages of investment: from providing legal advice on point issues to complex management of the client’s companies. In her practice Oksana pays attention to work with the regulation of relations between partners in business, in particular through the involvement of joint-stock and related agreements. — Supported the obtaining of five approvals of the Antimonopoly Committee of Ukraine for concentration of the Trigon group of companies and the famous Finnish-Estonian holding, which includes HT Property Development OÜ (Estonia). — Created the structure of an existing construction holding of client's group of companies with the use of optimal mechanism for attracting investment funds. Structuring of the construction business was also performed within the framework of holding establishment. — Advised on the opening of the first KFC (Kentucky Fried Chicken) fast food restaurant in Ukraine in shopping and leisure centre Ocean Plaza in Kiev. — Advised Ukrainian media groups on concerted actions, concentration, as well as the preliminary findings of the Antimonopoly Committee of Ukraine.